Clinical manufacturing facilities require the flexibility to configure the sequence of unit operations as well as equipment characteristics to fit diverse types of manufacturing processes. While stainless steel facilities remain as more traditional and suitable for large volume products, single-use facilities provide tremendous advantage for flexibility, infrastructure and capital costs, and start-up time. Single-use equipment and single-use facilities are particularly suitable for clinical manufacturing due to smaller investment requirements, smaller footprint, reduced risk, and increased operational flexibility. While single-use equipment are evolving and catching up to the functionality and reliability of stainless steel equipment, in some instances, stainless steel equipment may still be preferred. We will be providing a description of a new clinical manufacturing facility where single-use and stainless steel equipment were combined in a strategic manner to meet the business objectives. Biopharmaceutical manufacturing facilities are designed and operated to meet business objectives at various stages of a product lifecycles. While large stainless-steel facilities are appropriate for large volume established products, smaller single-use facilities are more efficient for smaller volume manufacturing needs, particularly for clinical supplies. Stainless steel equipment can be combined with single-use equipment to create hybrid facilities to meet process needs and business objectives in a more efficient manner. 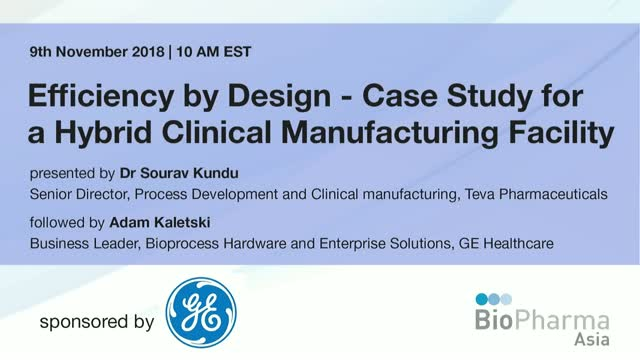 Typical challenges with building and validating a biopharmaceutical manufacturing facility can be overcome by strategic planning, good execution and a high-performance team.